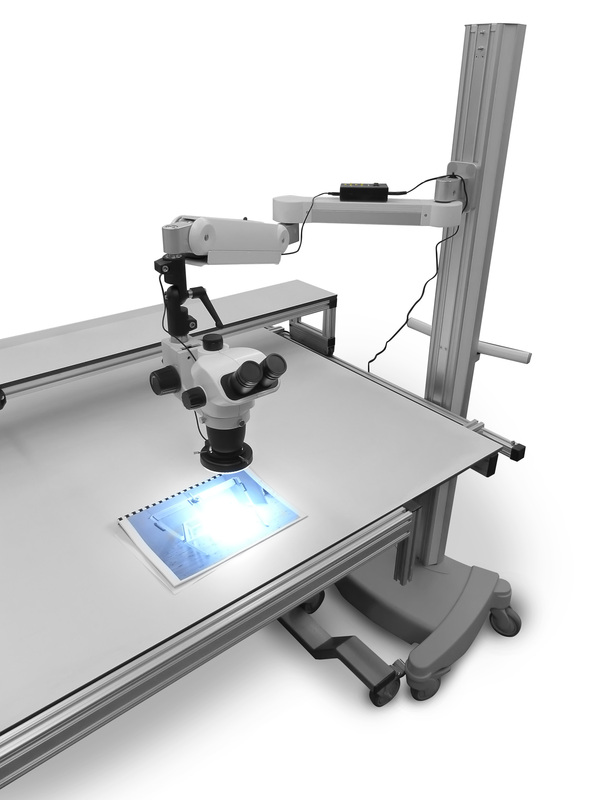 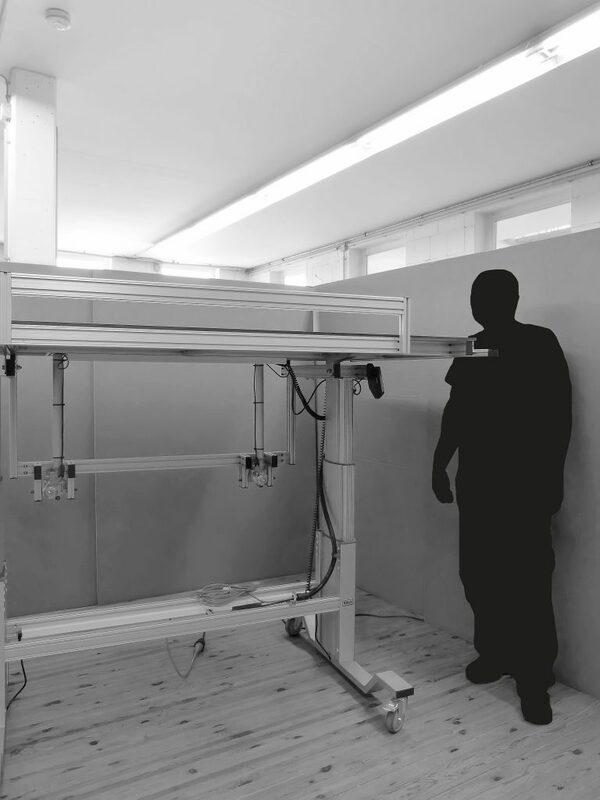 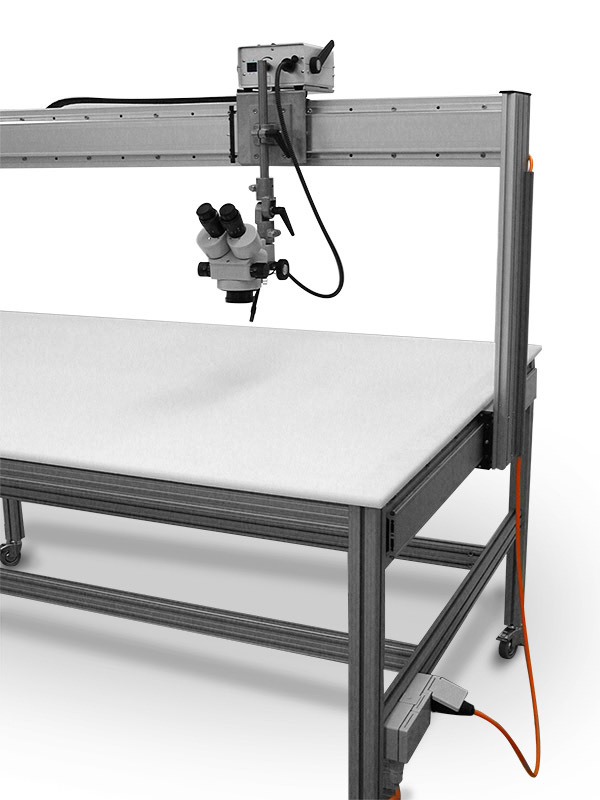 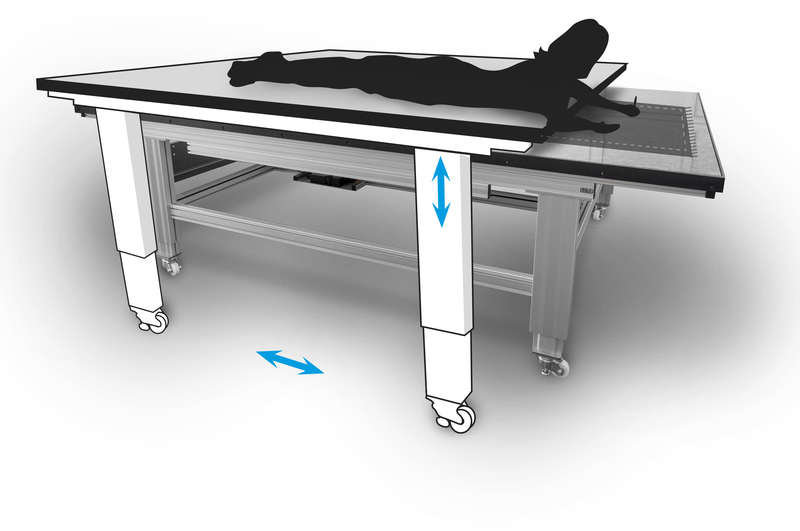 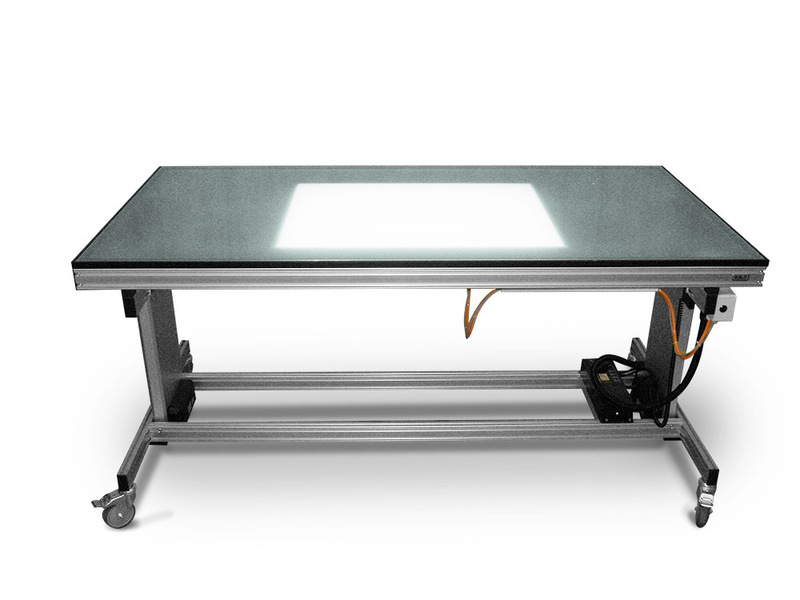 As a work table of about 75 – 155 cm height adjustable. 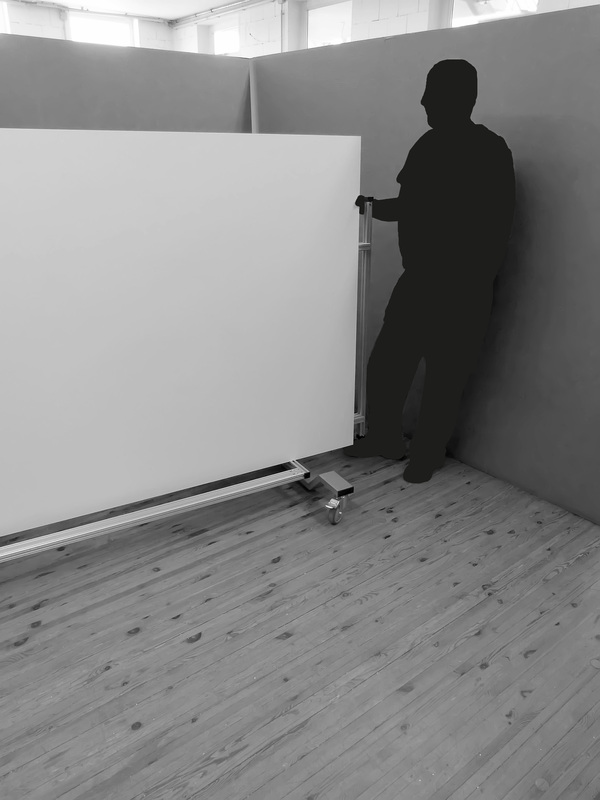 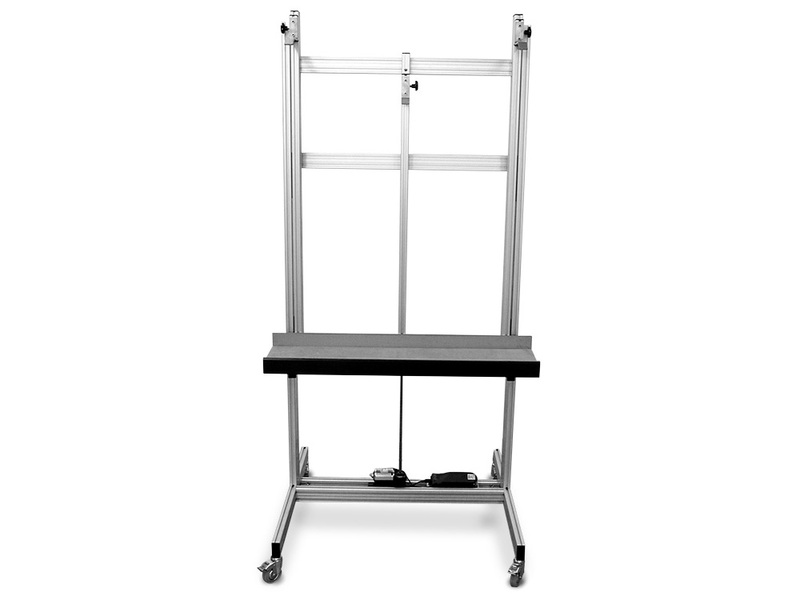 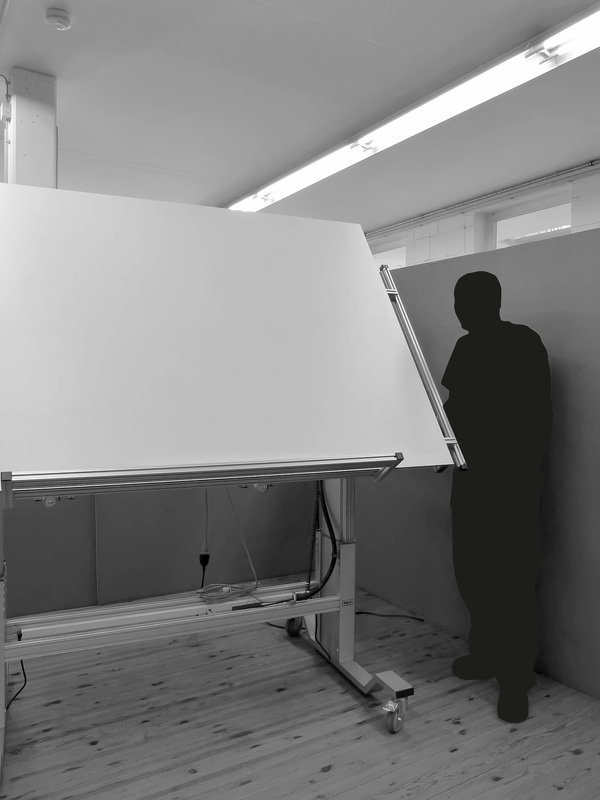 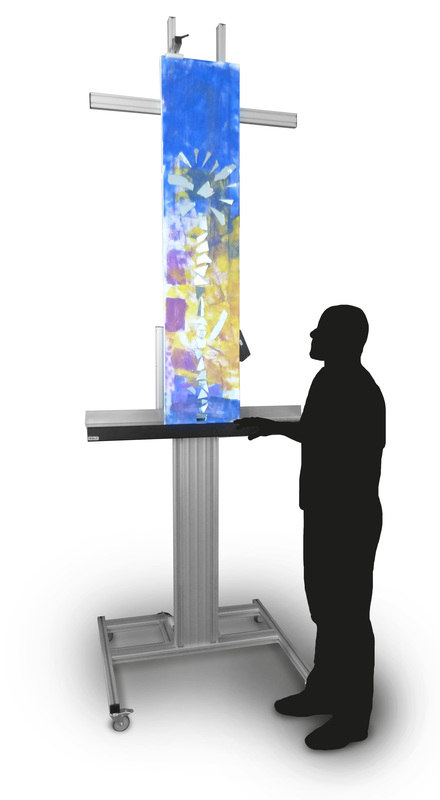 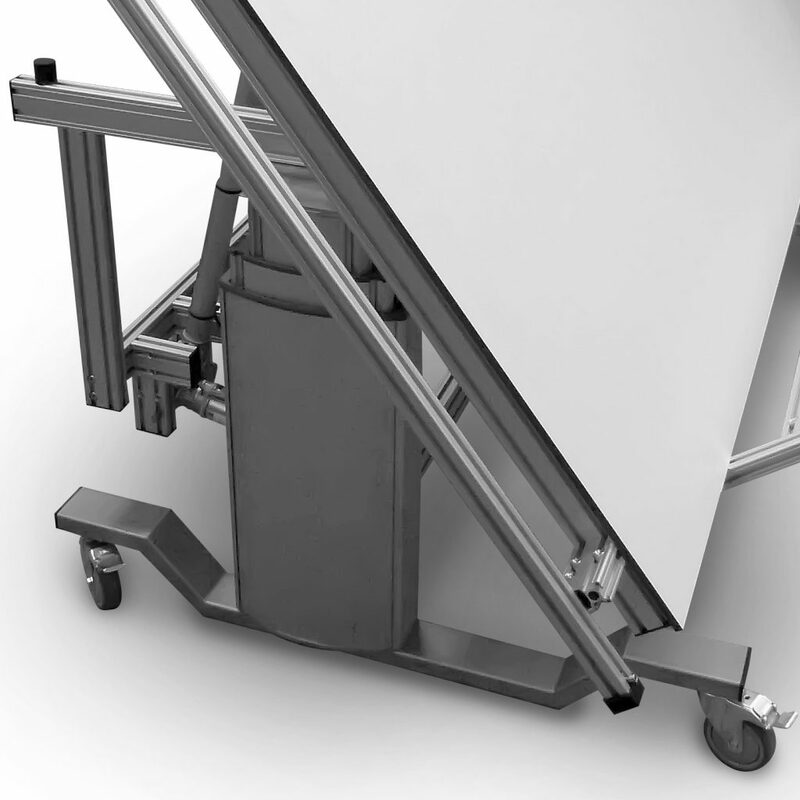 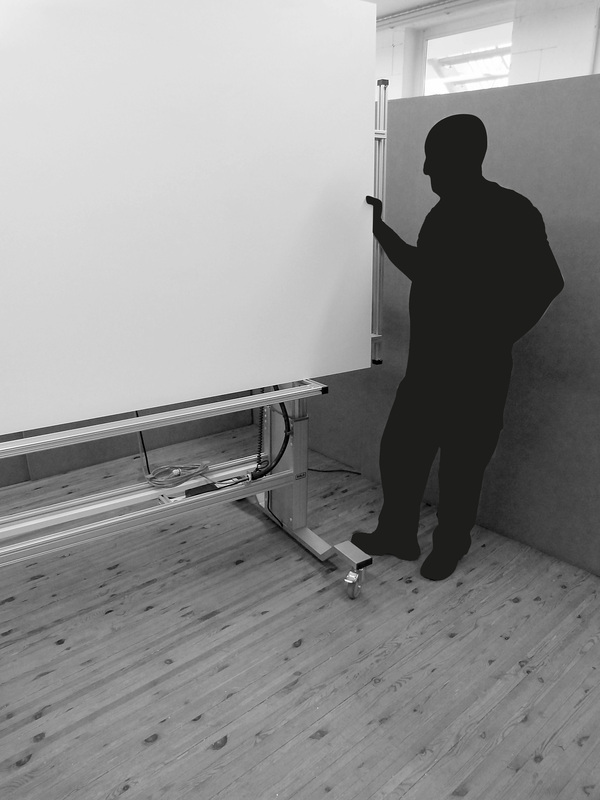 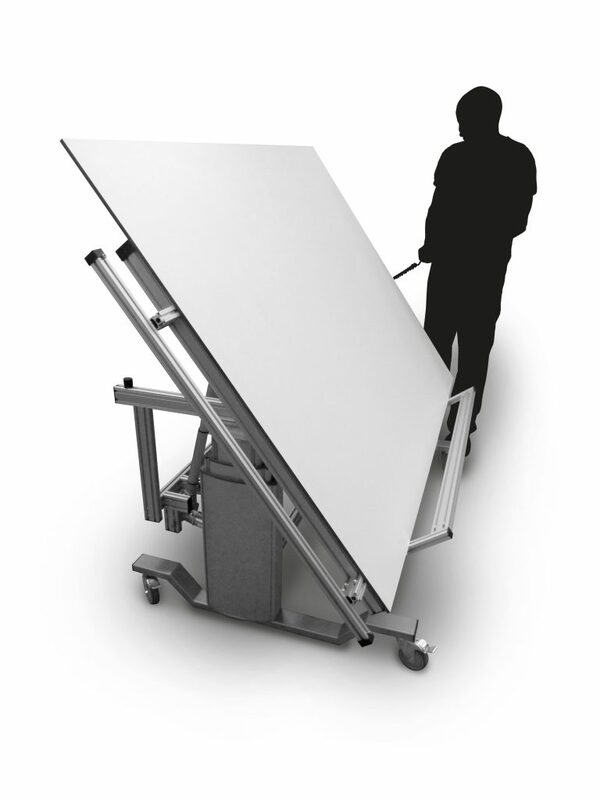 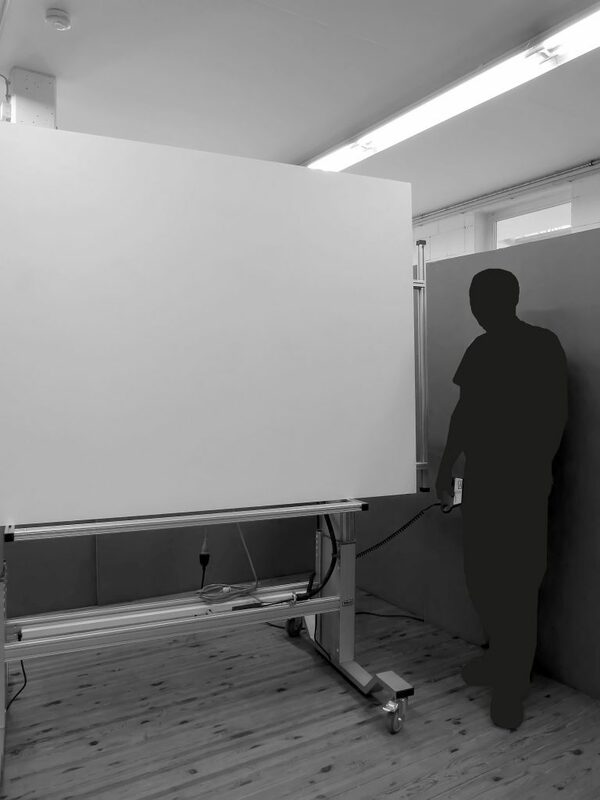 As an easel of about 20 – 90 cm height adjustable. 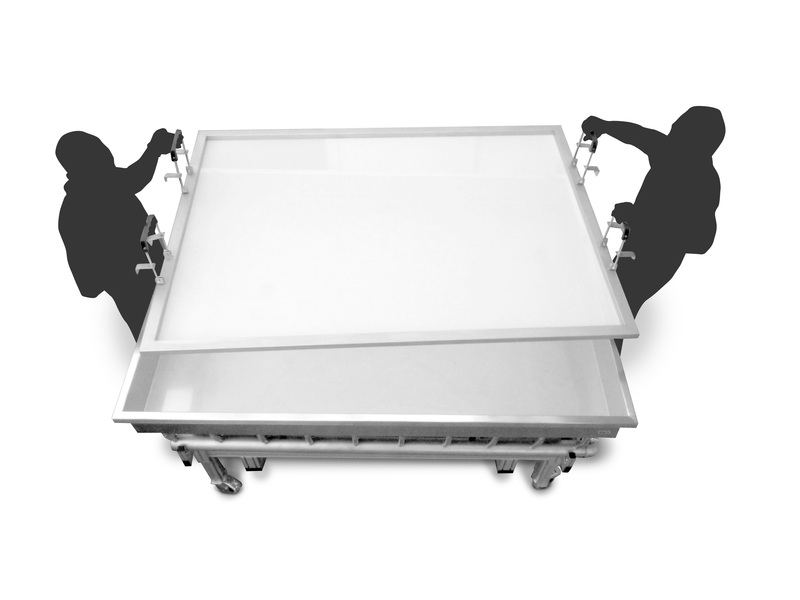 Moisture and solvent resistant all-plastic plate.